The winner of the country’s most prestigious occupational health and safety award, RoSPA’s Sir George Earle Trophy, has been announced. Wessex Engineering and Construction Services, part of Wessex Water, was handed the trophy – the safety charity’s premier award – at a ceremony on Thursday July 14. The department is responsible for the design and construction of water treatment, waste water and network projects across the Wessex Water region, which spans Dorset, Somerset, Bristol, most of Wiltshire and part of Gloucestershire and Hampshire, and is also responsible for the repair and maintenance of assets, with typically 45,000 jobs happening each year. Wessex Engineering and Construction Services was selected as the winner by the RoSPA Awards judging panel as it was identified as having unique, interesting and transferrable lessons to contribute to the rest of the UK industry. This included an innovative and unique approach to changing behaviour, expanding the occupational safety and health awareness of teams while also engaging and using them as a source of innovation. Tom Mullarkey, RoSPA chief executive, said: “Wessex Engineering and Construction Services showcased a senior leadership team, led by committed and insightful board-level input, supported by a wide range of senior management colleagues with the same philosophy and approach. “Its strong safety leadership and innovation not just supports Wessex Water in its approach, but also allows it to share expertise with other companies in the group outside the UK. Engagement of the whole workforce in this way, including in the occupational health agenda, presented something new and interesting which others could learn from. Mike Moriarty, director of Wessex Engineering and Construction Services, which has also won the Construction Engineering Industry Sector in the RoSPA Awards, said: “To receive the prestigious Sir George Earle Trophy is recognition of our excellent health and safety culture and acknowledgement of our continued commitment to the safety and welfare of our staff, colleagues and the general public. The awards programme, which is sponsored by NEBOSH (the National Examination Board in Occupational Safety and Health), is the largest and longest-running occupational health and safety awards programme in the UK. It recognises organisations’ commitment to continuous improvement in the prevention of accidents and ill health at work, looking at entrants’ overarching health and safety management systems, including practices such as leadership and workforce involvement. There were nearly 2,000 registered entries in the scheme this year. While the majority of awards are non-competitive, competitive awards are presented in 20 industry sectors and for specialist areas of health and safety management. The industry sector award winners in the RoSPA Awards 2016 are: Commercial and Business Services – The Royal Bank of Scotland Group; Construction Commercial – Landlease Construction; Construction Engineering – Wessex Engineering and Construction Services; Construction Housebuilding and Property Development – St Edwards Homes Ltd; Education and Training Services – South and City College Birmingham; Electricity – Qatar Power Company – Doha Qatar; Engineering Services – Nuvia Limited; Facilities Management – Carillion Services; Food and Drink Manufacturing – Moy Park; Forestry – Acorn Environmental Management Group Ltd; Healthcare Services – The Richmond Fellowship Scotland; Hotel and Catering – Aramark – Offshore; Manufacturing – Toyota Motor Manufacturing UK Ltd; Mining and Quarrying – CEMEX UK Materials Limited – Central Readymix; Oil and Gas – Teesside Gas Processing Plant; Public Service and Local Government – Sovini; Research and Development – NSG Environmental Ltd; Transport, Storage and Distribution – Northern Rail; Waste Management and Recycling – Studsvik; Water – Scottish Water. The specialist award winners in the RoSPA Awards 2016 are: International Sector Award, sponsored by airsweb – Qatar Power Company – Doha Qatar; Fleet Safety Trophy, sponsored by Allianz – NFT Distribution Operations Limited – Bristol; Fleet Safety Technology Trophy, sponsored by Tesco – Tristar Worldwide Chauffeur Services; International Dilmun Environmental Trophy, sponsored by Gulf Petrochemical Industries Company – Costain, Heysham to M6 Link Road; Occupational Health Trophy – Department for Work and Pensions; Workforce Involvement in Safety and Health (WISH) Trophy, sponsored by Springfields Fuels Ltd – Woh Hup (Private) Limited. SVANTEK’S SV 104 noise dosimeter has been given the US stamp of approval by winning the Industrial Hygiene category of the prestigious Occupational Health and Safety (OH&S) magazine’s 2013 New Product of the Year Awards. 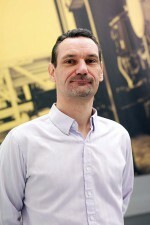 The answer to this month’s trouble shooter is provided by Sam Thiara, Emerson Automation Solutions.